The birth of cloud computing can be traced back to the turn of the century. No, not THAT turn of the century, the OTHER one, the one that just happened sixteen, um, seventeen years ago. Around that time (1999 to be precise), a company called Salesforce began offering a unique piece of software. You didn’t have to install anything or even download anything. All of the software and related storage was kept by the cloud service provider, Salesforce. At that time, nobody knew what ‘cloud computing’ was, let alone what SaaS would eventually become. All Salesforce’s customers knew was that it was way more affordable than similar on-premises software products and didn’t come with a long, expensive, and infuriatingly difficult installation process. 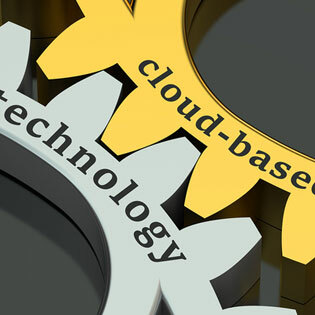 Since then, CPA firms have been offered an astounding array of cloud-based products and services, including operating systems, data storage, backup and disaster recovery, help desk software, HR software, and even industry-specific products like tax software. The main holdup — the primary reason that CPA firms have been somewhat resistant to cloud service providers — is their own in-house IT teams. IT professionals have worried from the first time they heard about Salesforce and the cloud that their days are numbered. IT pros cite worries like data management and cyber security, but what the real fear is involves losing control. With the cloud, there really is no need to hire a full staff of IT professionals. Most or all of the CPA firm’s IT needs can be handled in the cloud. Cloud service providers can handle routine network monitoring, application monitoring, cyber security monitoring, backup and disaster recovery services, storage, compute resources, and more. How legitimate are the claims that cloud service providers can’t offer the same level of security and that taking on cloud products means losing control of your data and software? Well, let’s take a look. The other concern is control. Most CPA firms are excited to learn that once you acquire your software ‘in the cloud’ via SaaS, you no longer have to worry about some software vendor sending you an audit letter that means they’re coming to nose around your business and find a way to fine you. Most are also happy to learn that with SaaS, you pay only for what you need when you need it. You don’t have to worry about buying enough software licenses for the busy tax season, and then being stuck with paid licenses that you aren’t using during the slower months of the year. • Make it clear what their role in the business is. • Make it clear how the cloud is easing their burden. • Make it clear how the cloud service provider complements the services they provide. It will likely take some time for your IT team to warm up to your new cloud service provider, but once it becomes obvious how cloud products and services support your onsite staff, they’ll be huge fans. Interested in how cloud services can enhance and energize your onsite IT department? TOSS C3 can help.